Developed by EEC! Funded by Jane’s Trust, Cabot Family Charitable Trust & IMLS. 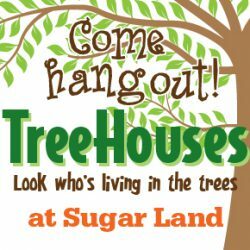 Locally sponsored by the City of Sugar Land – Visit Sugar Land.TreeHouses: Look Who’s Living In The Trees!